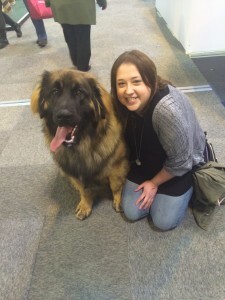 I was very excited when I was asked to attend the first day of this year’s Crufts exhibition. 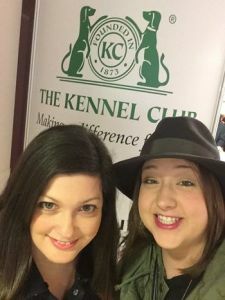 On Thursday morning, I met my colleague Heidi on the train up to Birmingham’s NEC and we prepared ourselves for a day full of adorable canine goodness. 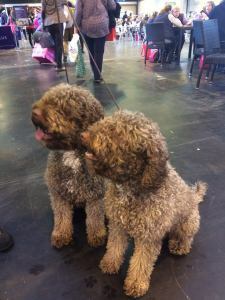 As neither of us has ever been to Crufts before, nothing could actually prepare us for the sheer size of the venue, and just how many beautiful dogs we saw trotting about the place with their proud owners. 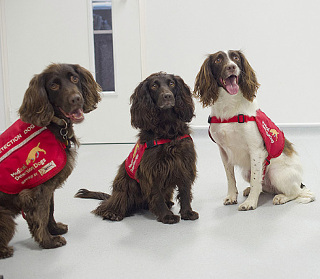 After a quick orientation round of a couple of the main halls, we started chatting to people, and, more importantly, saying hello to their dogs. Nico is only 9 months, and will get a lot bigger and heavier even though, as you can see, he’s already rather large! 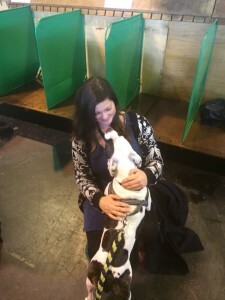 I adore Staffies, so this little cutie was a joy to meet. And it seems the feeling was mutual, as she jumped up at me and wanted to give me kisses! This was the first time either myself or Heidi have seen Water Dogs in real life and it was a real treat! Their fur is amazing to touch and, as you can see, they are absolutely gorgeous! 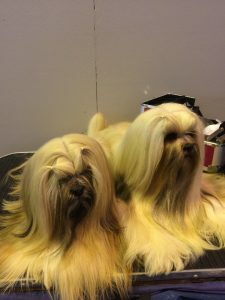 We were blown away by how well groomed and truly stunning these 2 were! Yes, really! You can see this adorable little madam in action in this video. 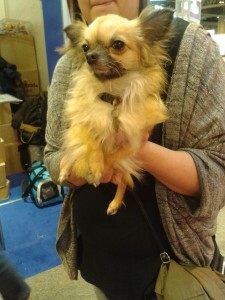 This little guy got his name from being so tiny, his owners keep tripping over him, which is just totally adorable! We also watched some amazing demonstrations in the main arena. We saw some brilliant Freelance Heelwork to Music, with great costumes and routines and gun dogs demonstrating their impressive ability to find and retrieve game. However, by far the most impressive, in our eyes, was the display from West Midlands Police Dogs. 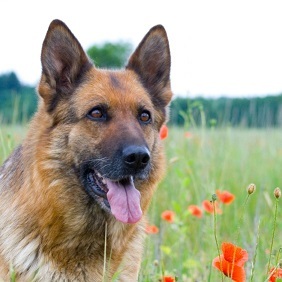 These dogs, even though some are still very young, showed a remarkable ability to follow orders and perfect restraints when recalled by their owners from apprehending the ‘offenders’. 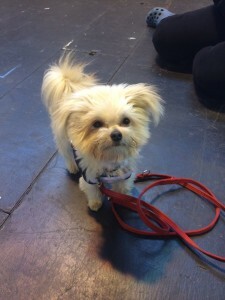 We hope any of you who attended Crufts this year had as much of a wonderful time as we did and see you all next year!